VENDOR SIGN UP IS CLOSED FOR 2014!! THIS APPLICATION IS LIMITED TO THE BOOTH PLUS ($500-$1000) AND BOOTH ONLY ($250) VENDOR BOOTHS. CONTACT JOE MOORMAN FOR MORE INFORMATION. We are flexible and willing to work with you to make this as fun and workable for you as possible! The EZ Rocks Event Volunteer Committee will inspect all booths and booth merchandise for items that we feel are not in the best interest of the event. If you are found to have any such items you will be asked to remove them, or if you refuse you will be asked to leave immediately with no refund of your booth fee. 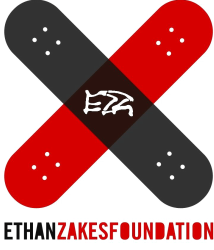 EZ Rocks Skate for the Cure is not responsible for accidents, damage or theft. For safety and crowd control purposes, the event committee must request that all booths be set up so as not to block or encroach upon the walkway area. As a consequence, no support poles, guy wires, etc. will be placed in the midway walk area. 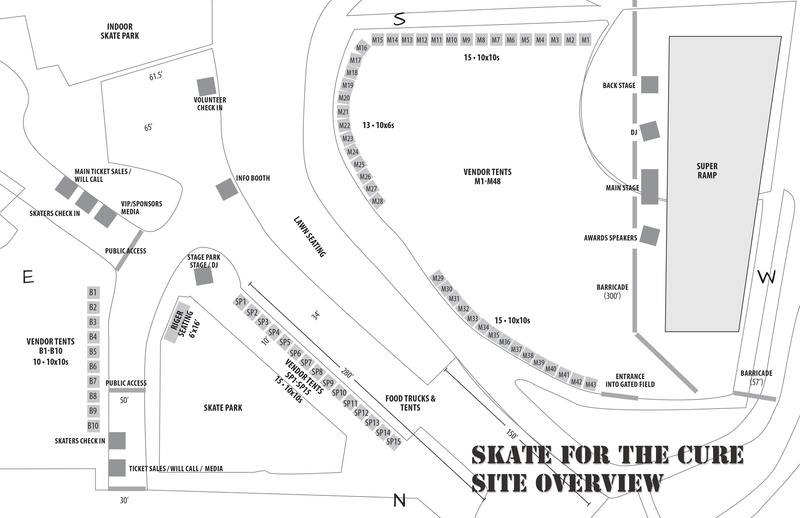 All booth applicants should conduct business within their booth spaces and not in the skateboarding area. You will need to furnish all equipment for your booth including, but not limited to, tables, chairs, etc. and please enclose with your application a photo of your booth set-up. All booths will be open air, including the arts & crafts. All booth applicants should be prepared to have adequate canopies or other desired protection from the elements. Persons bringing in travel trailers, vans or trucks must notify the committee at the time that their application is submitted so proper arrangements can be made. We are working on possible electricity. No guarantees. Handicap parking will be available to those who have state issued plate s / visor tags. Vendors will Be positioned with like vendors. Email or call Joe at (425) 891-4212 for specific location details. Click submit then enter payment information below. The EZ Rocks Event Volunteer Committee will inspect all booths and booth merchandise for items that we feel are not in the best interest of the event. If you are found to have any such items you will be asked to remove them, or if you refuse you will be asked to leave immediately with no refund of your booth fee.